christmas cake recipe | fruit cake recipe | plum cake recipe with detailed photo and video recipe. 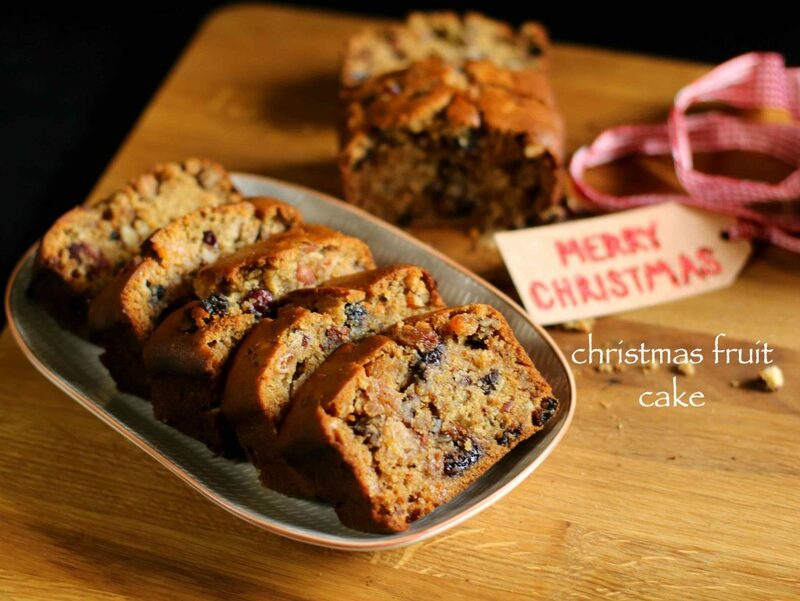 basically a eggless fruit cake, alcohol free and eggless plum cake recipe for christmas. also popularly known as kerala christmas fruit cake recipe is prepared especially during christmas celebration by christian community. 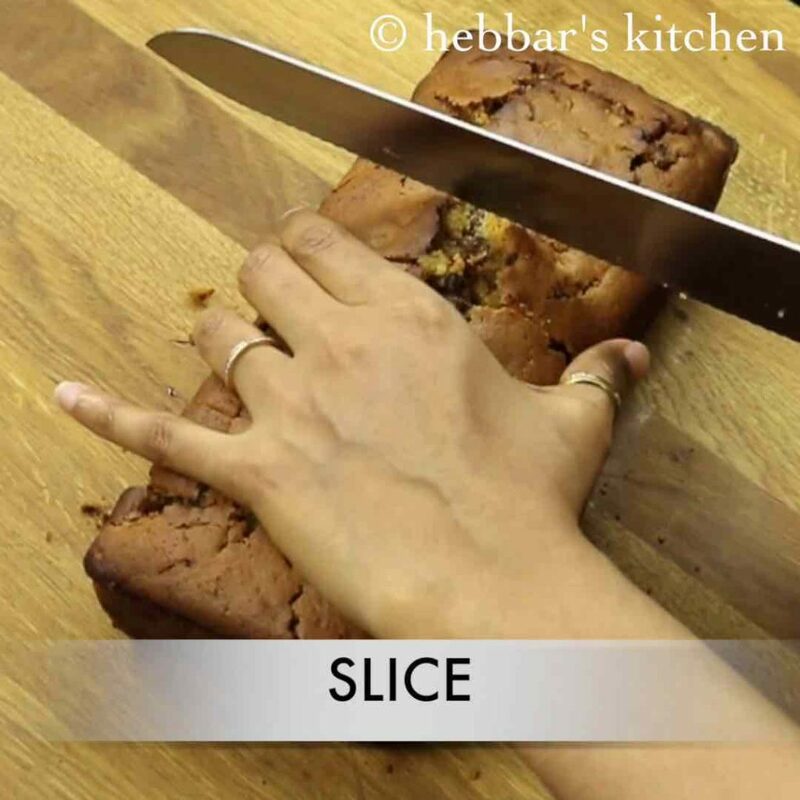 christmas cake recipe | fruit cake recipe | plum cake recipe with step by step photo and video recipe. 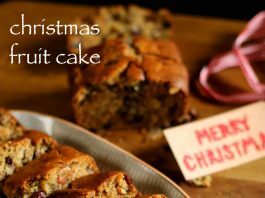 there are several traditional cakes for christmas, however this is the basic fruit cake which is typically prepared during christmas. some even do have specific christmas cake decorations for these plum cakes but i have kept it simple without any decorations. i was getting several requests for a simple cake recipes for christmas and i thought of sharing this basic plum cake recipe which is also a vegan cake recipe. this cake recipe is very nostalgic and lot childhood memories are attached to it. i still remember my college days, when my several christian friends use to bring this cake after new year. i use to love those and perhaps those cakes did contain egg and wine. nevertheless, i use to enjoy eating those soft and spongy plum cakes. but in this recipe i have skipped the egg and replaced the wine with grape juice which would give the same taste. 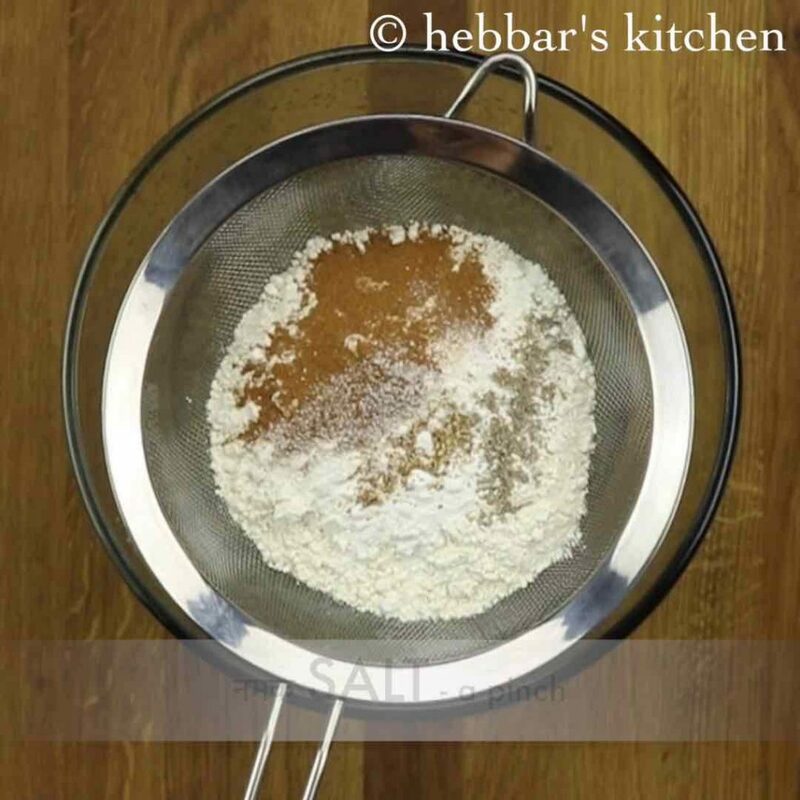 furthermore, some important tips for a perfect soft and spongy kerala plum cake recipe. typically the christmas fruit cake is prepared with egg and wine or alcohol. if you are comfortable with these 2, than you are more than welcome to add it. in addition, you can add most of the dry fruits to this recipe, however avoid cashews and pistachios. moreover, if you do not have a oven than refer my eggless cooker cake recipe to prepare plum cake in cooker. 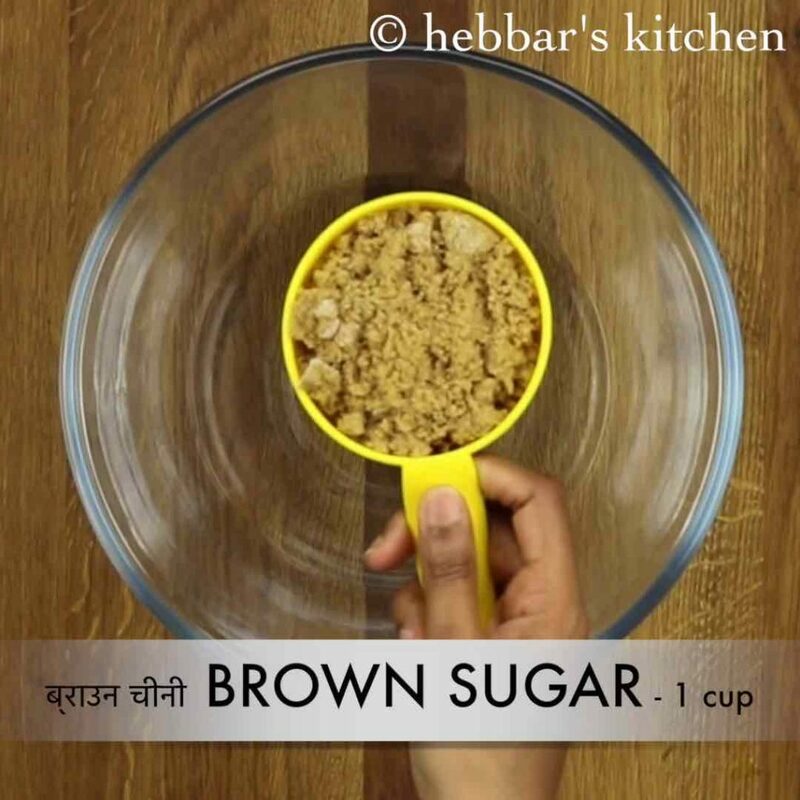 lastly, if you do not have brown sugar, use normal sugar and boil it to caramelize into brown color. 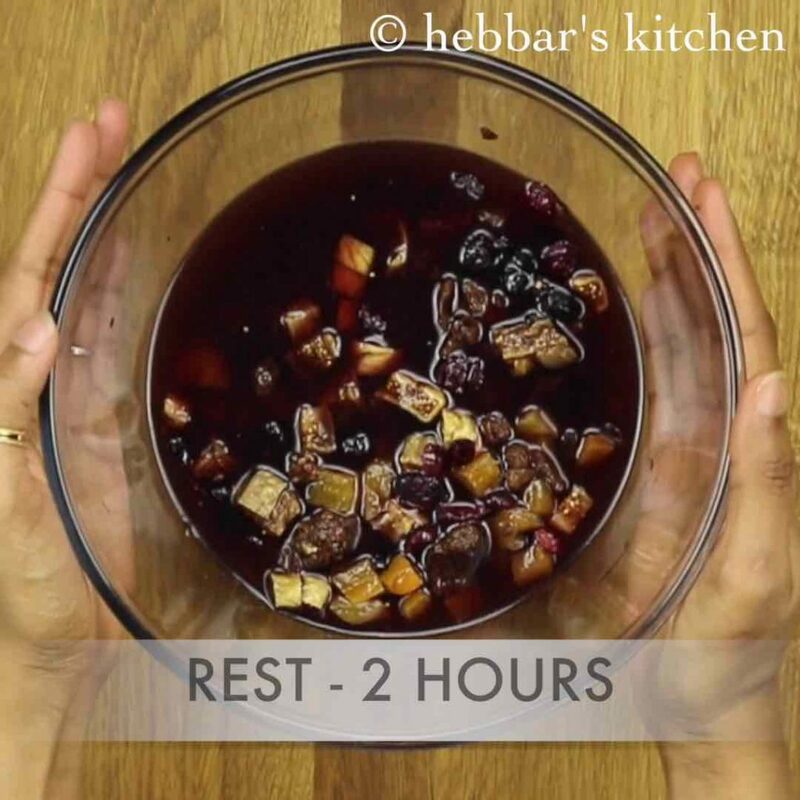 firstly, soak dry fruits in grape juice / alcohol for 2 hours. furthermore, take warm water, powdered sugar and oil. blend. 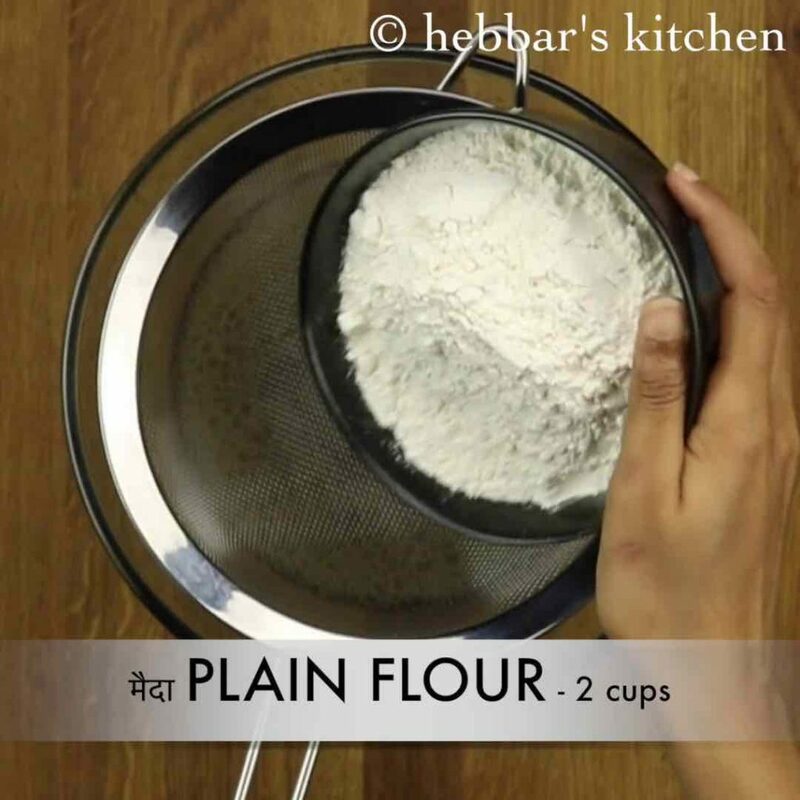 further sieve plain flour, baking powder, baking soda, cinnamon powder, nutmeg powder, cardamom powder and salt. also add orange zest and vanilla extract. 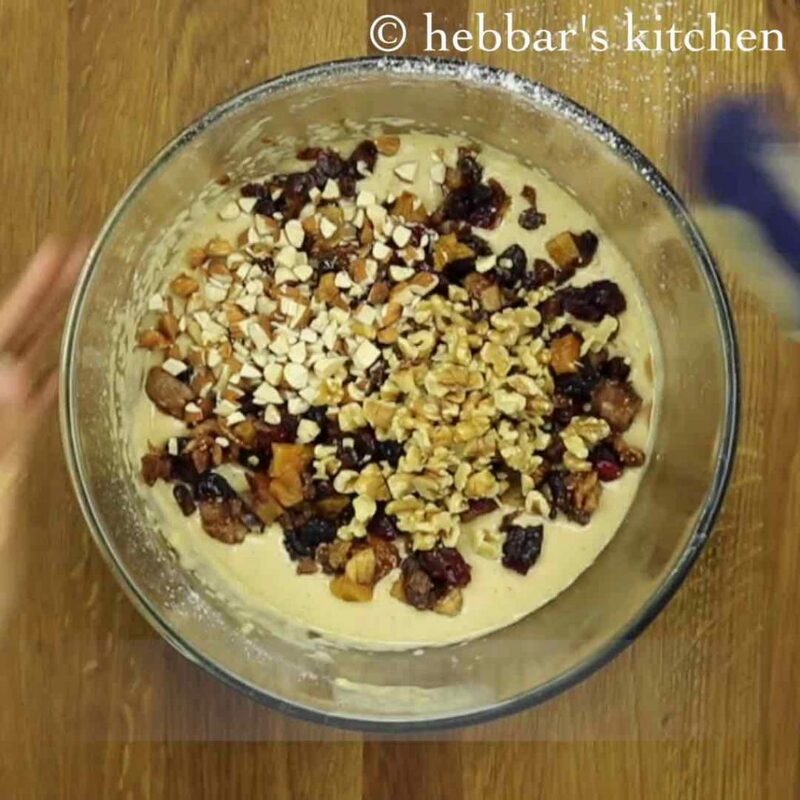 blend till the batter is combined and squeezed dry fruits, almonds and walnuts. 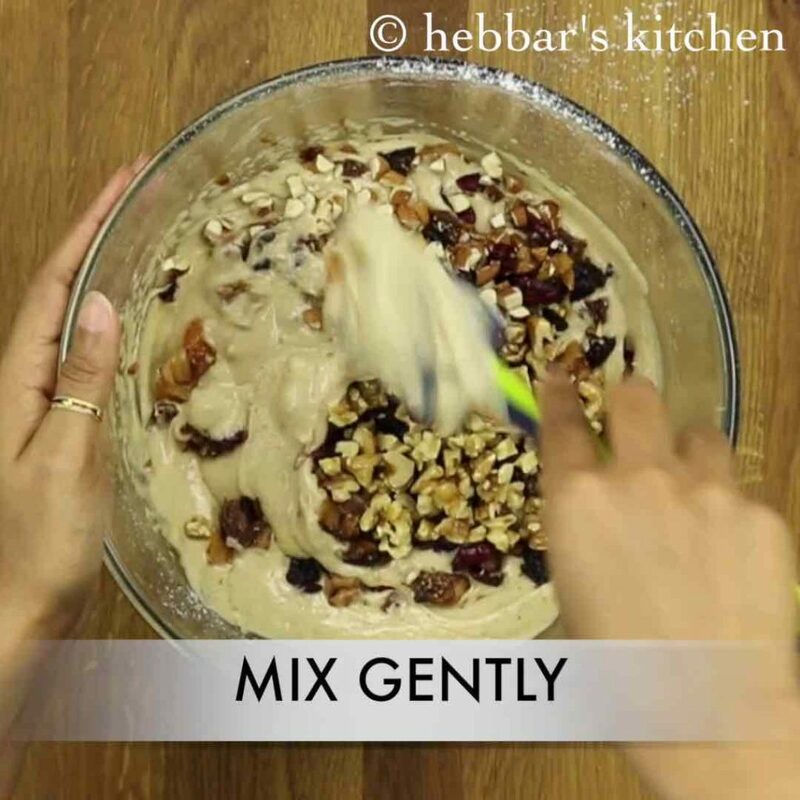 gently mix. further, transfer the cake batter into the cake mould. bake at 180 degree celsius for 40 minutes. finally, serve the christmas fruit cake. firstly, in a small bowl take ¼ cup of each finely chopped raisins, cranberries, figs, cherries, apricot and dry dates. i have taken 1.5 cup amount of dry fruits and later adding half cups of nuts – walnut and almonds. however, you can vary the quantity of dry fruits and nuts according to your preference. further, add 1 cup of grape juice and mix well. instead of grape juice you can also use red wine / brandy / rum or any alcohol for more rich flavours. soak dry fruits for atleast 2 hours or overnight for more flavours. 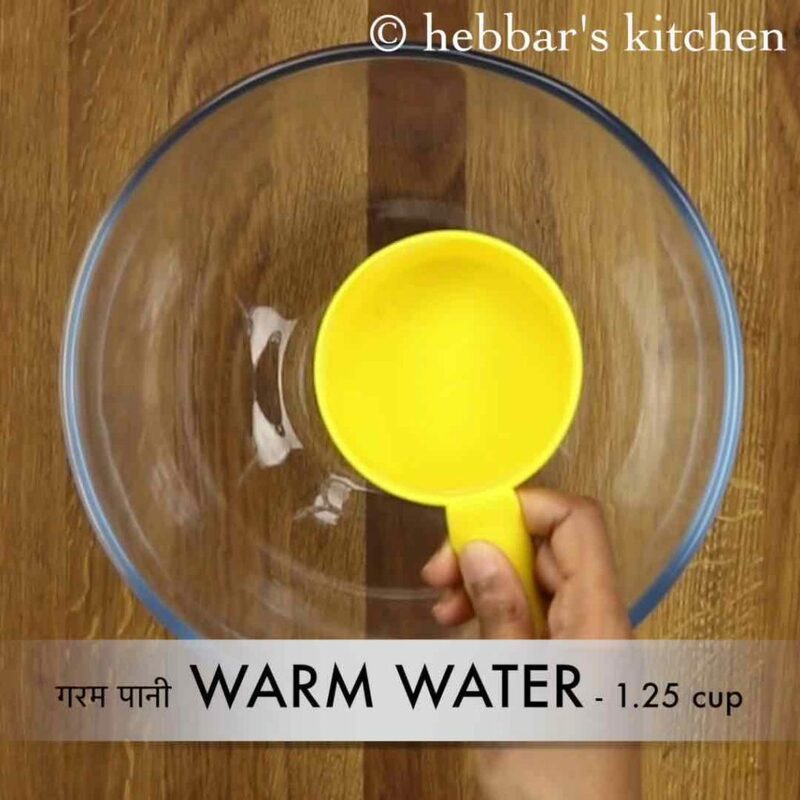 if you are using alcohol then you can also soak for a week. however, in grape juice – dry fruits will rot if you are soaking for more than 2 days. firstly, in a large mixing bowl take 1.25 cups of warm water. also add 2/3 cup of oil. 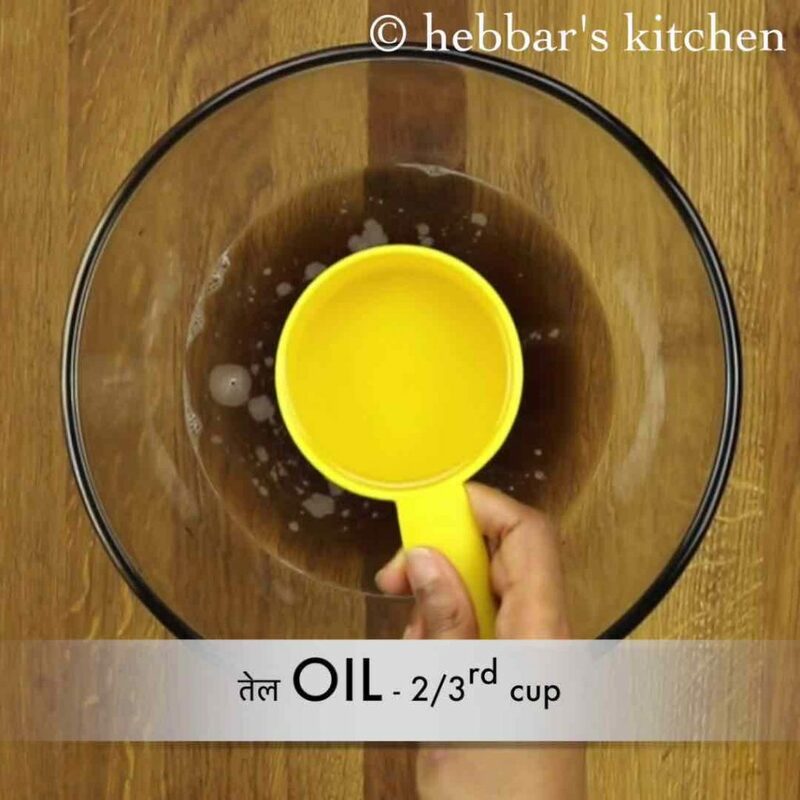 oil helps to make cake moister and stay fresh for longer. however, you can replace with butter for more flavours. 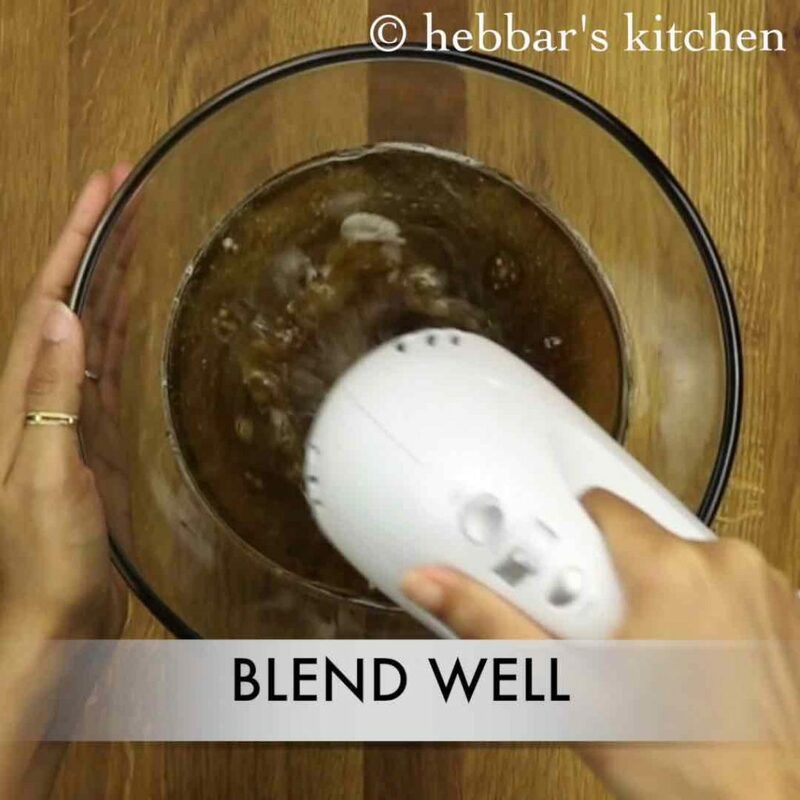 using a hand blender or whisk, beat well making sure the sugar dissolves completely. 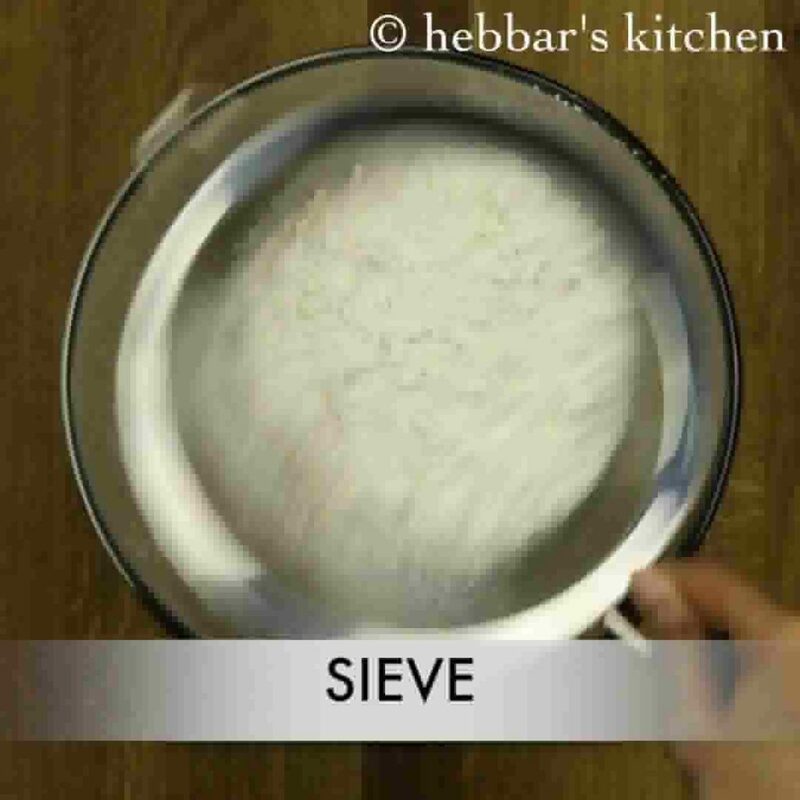 further take a sieve and add 2 cups of plain flour. 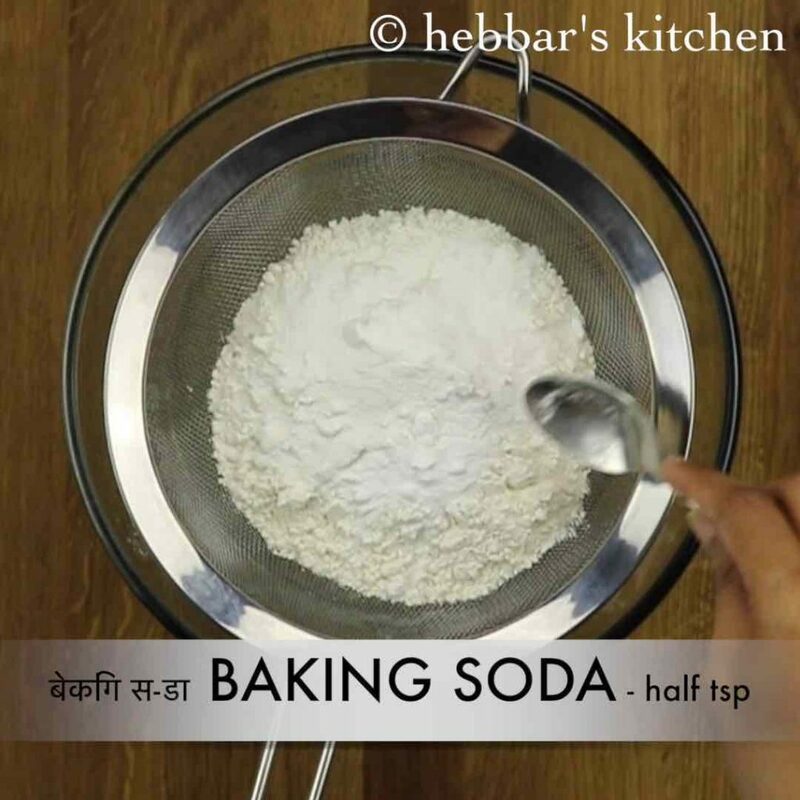 also add 1 tsp baking powder, half tsp baking soda. furthermore add cinnamon powder, nutmeg powder, cardamom powder and salt. sieve well making sure the air is incorporated and also the spices are mixed well with the flour. 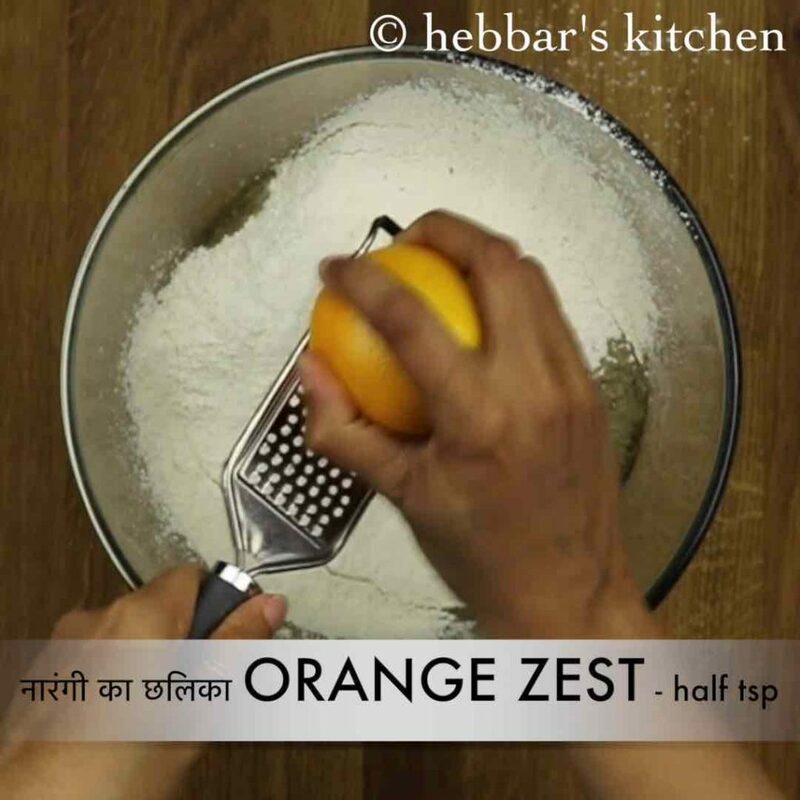 further, grate half tsp of orange zest. you can also add lemon zest. also add 1 tsp vanilla extract. 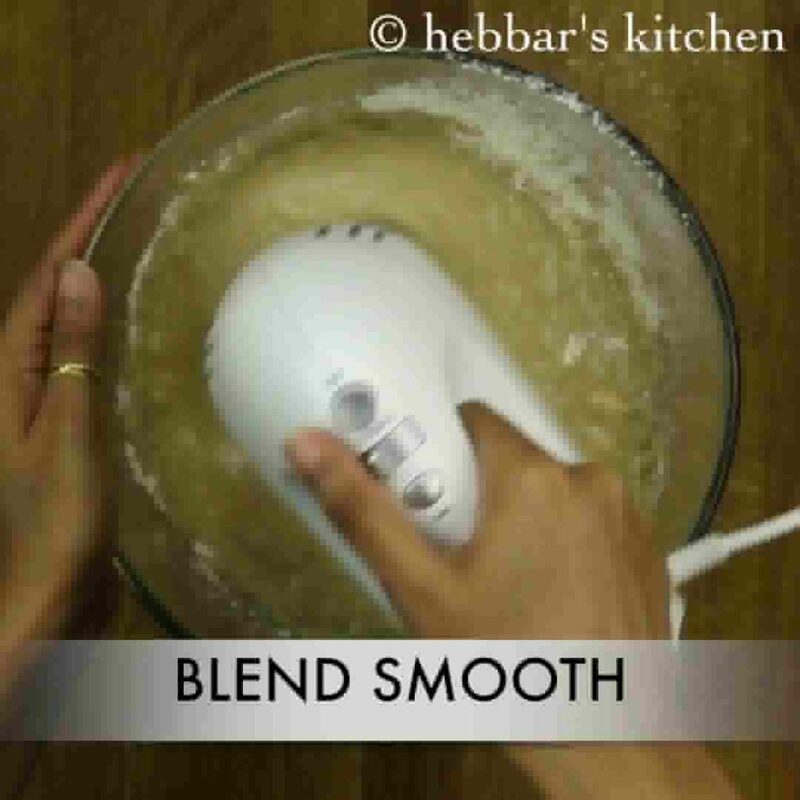 using the hand blender, blend till the batter is combined and of smooth consistency. do not over blend, as they tend to turn cake hard and chewy. 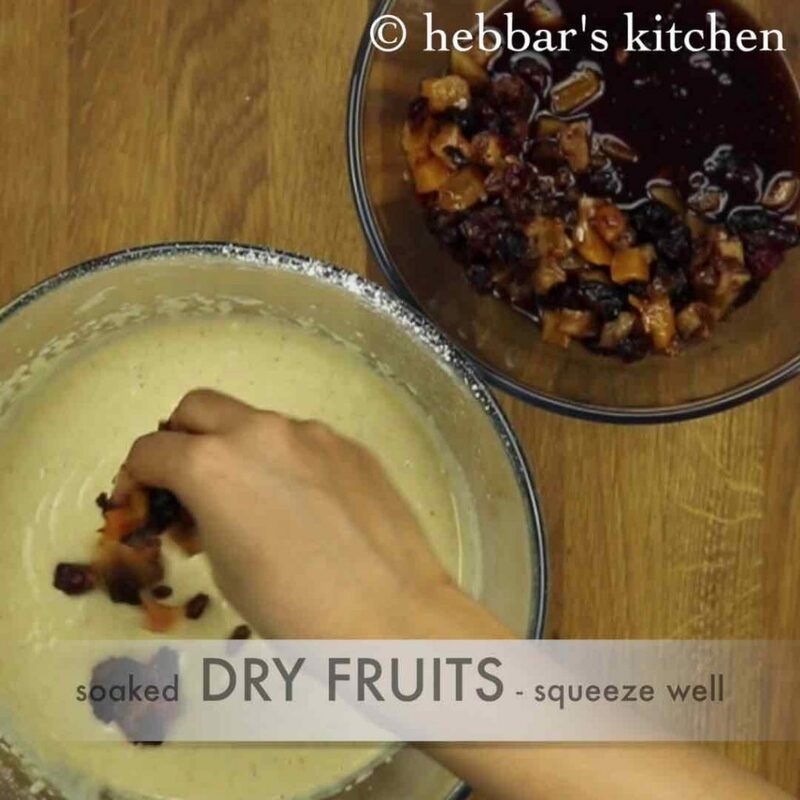 further, squeeze off the soaked dry fruits completely and add to cake batter. also add chopped almonds and walnuts. 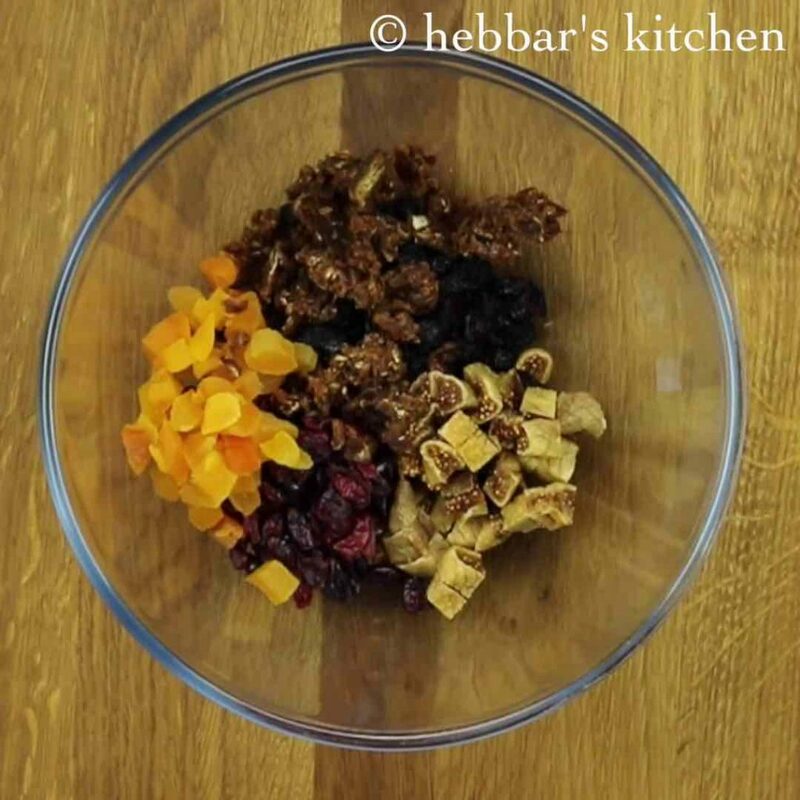 give a gently mix making sure the dry fruits and nuts are uniformly mixed. 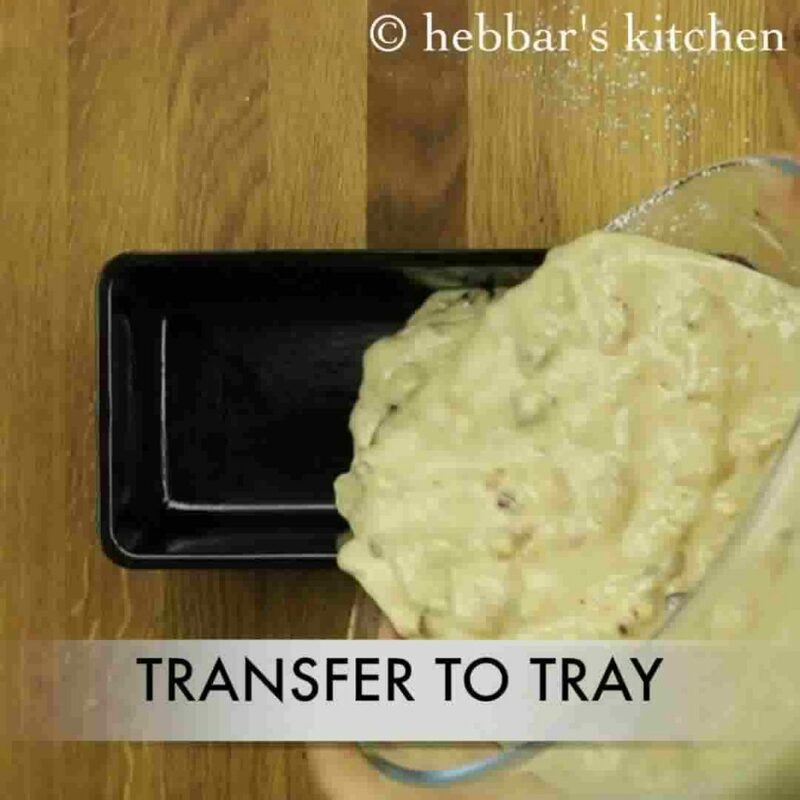 further, transfer the cake batter into the cake mould or bread mould. make sure to grease the mould with butter to avoid sticking. 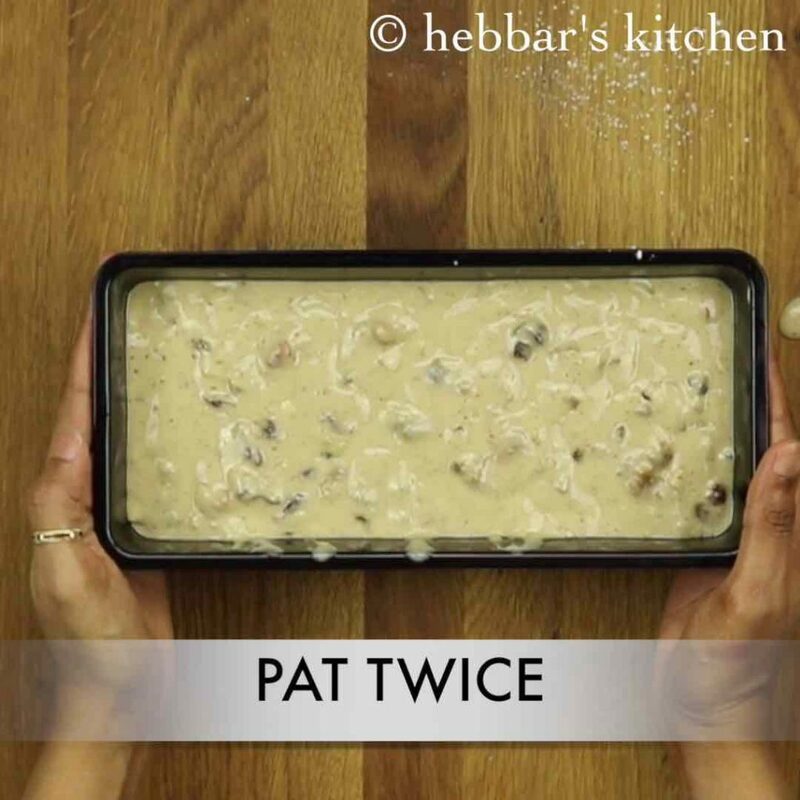 pat the tray twice to remove the air incorporated into the batter. place the cake tray into preheated oven. 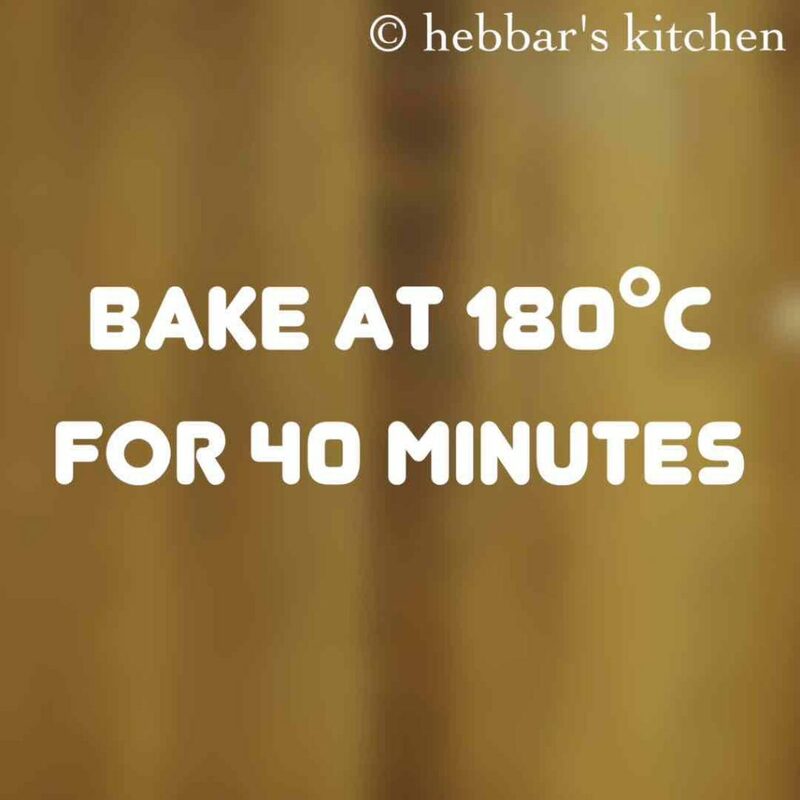 bake the cake at 180 degree celsius or 356 degree fahrenheit for 40 minutes. or bake till the toothpick inserted comes out clean. further, allow the cake to cool completely. and later cut to slices and serve. finally, serve the christmas fruit cake or store in airtight container. firstly, we are not using egg hence the make cake moist we are adding more oil. furthermore, instead of alcohol like wine and brandy we are using grape juice to get similar flavour. additionally, add dry fruits and nuts of your choice. you can also add tutti fruiti. moreover, keep an eye while baking cake as each oven works differently. 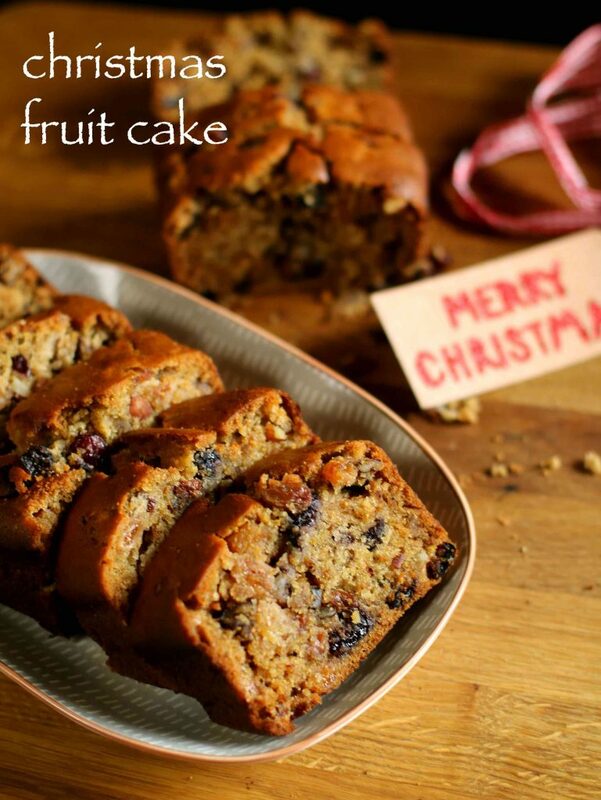 finally, christmas fruit cake / plum cake taste great when prepared with more dry fruits and nuts. I just made this cake and it came out awesome! The taste is amazing! Thank you so much! Just made this cake.. family loved it! Thank u for the detailed recipe. Soaking fruits for 2 hours is enough or can we soak till 1 day in juice? soaking for 2 hours is enough however, soaking for a day makes it more soft..
can we soak the almonds and walnuts too along with dry fruits? crunchy bites of dry fruits taste great rather than soaking..
can we soak the almonds and walnuts too along with dry fruits? Will it be good? yes you can.. but you are going to loose the crunchy bites. It is my first attempt of baking. Receipe is awesome and i could manage to replicate. However, The cake is sticky. It is Still resting in oven. I have cooked it for 40 min at 180 degree celsius in preheated oven. Can you please suggest what should i do? Shall i put it in refrigerator or cook more? 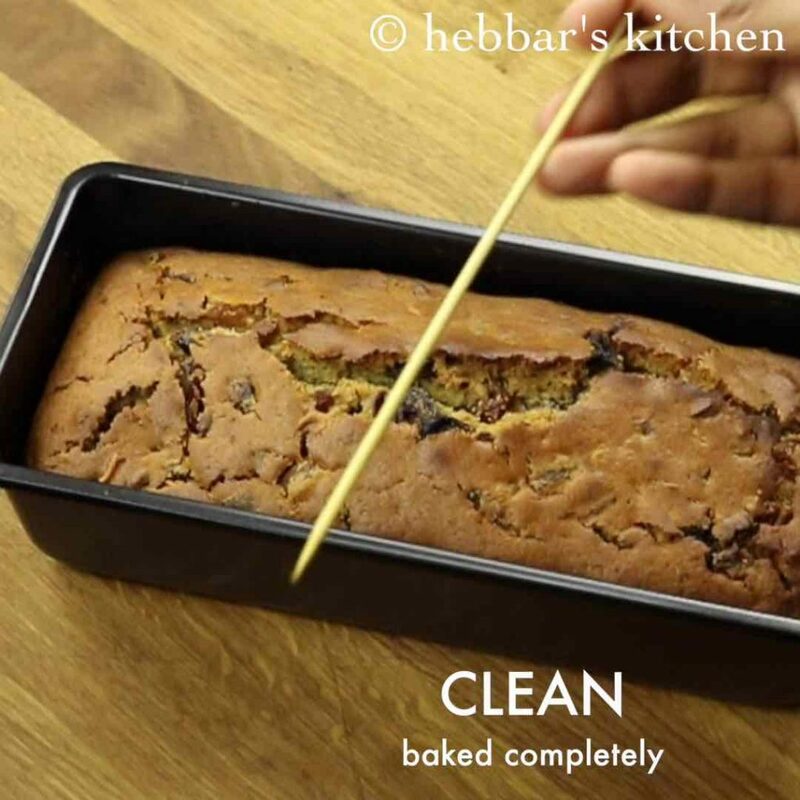 bake the cake till the toothpick inserted comes out clean.. else the cake will remain uncooked. I want to know 2/3 cup of oil is equal to how much ml..
Made this cake today came out really well.Thanks a lot for the recipe. Thanku so much for this awesome recipe. Just came out to be super yummy. And one more thing if we don’t have microwave and if we r preparing through cooker.. Is 50 mins is enough to bake it through cooker?? yeah.. it is enough.. however, make sure to insert toothpick and check if the cake is baked completely. Can we use white sugar instead of brown sugar?? 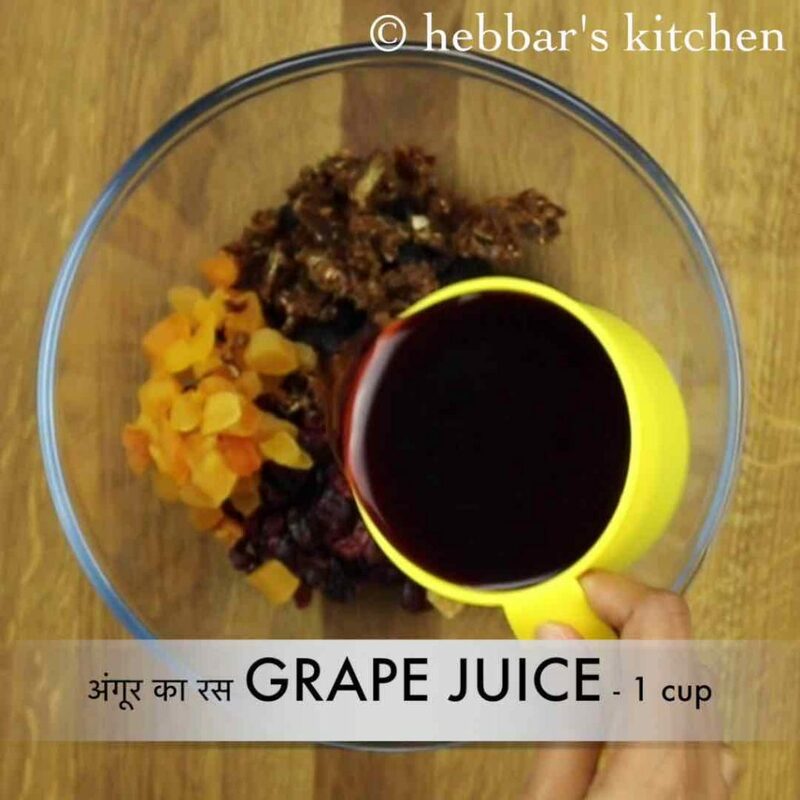 Hi, the grape juice which is used for soaking the dry fruits, is finally added to the batter? Thanks for the recipe i tried it with some changes as per my taste..and loved it. I added brandy and kept it for 2 weeks. I made this cake last christmas. It tastes awesome and so rich. I used apple juice for soaking dry fruits. Apple juice gave the cake very nice flavour. Hey… so sorry. its given in instructions. missed out. Now got it corrected. Nice article, we will try to make it next tomorrow at my brother’s birthday. can you post preparation of eggless cake using pressure cooker. i have already shared it. hi, your Christmas cake is a super hit at my place.. tried it, it came awesome.it was mild and my husband loves it.. thank you for the recipe. We need not to put any sugar in this recipe? Nice and easy recipe. We and our friends liked it. Yes vinegar is required in this recipe. 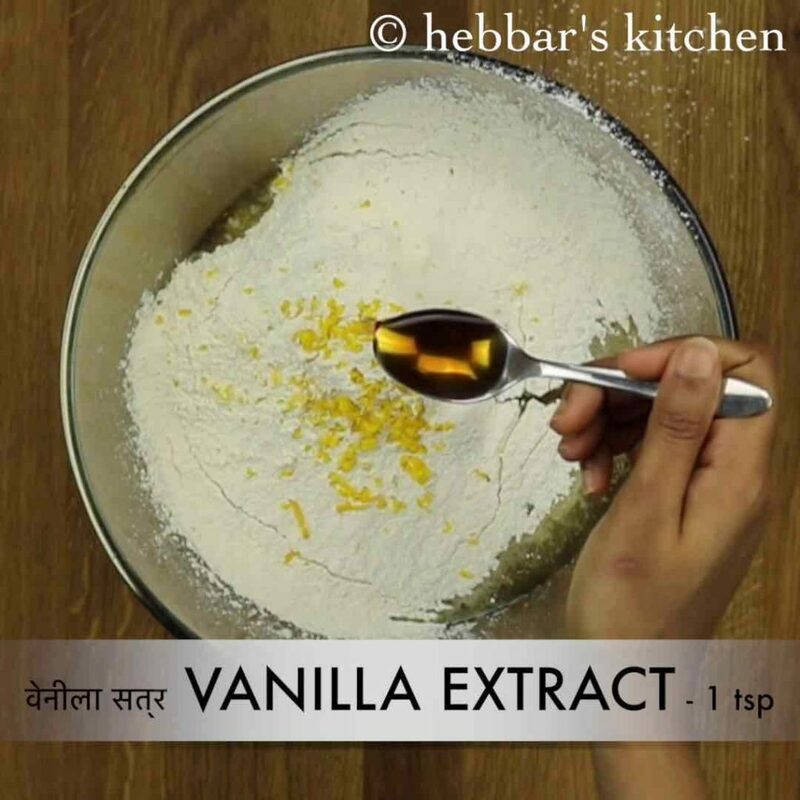 no vinegar required, I had wrongly mentioned it before for vanilla which I have corrected it now. Nice recipe.. Loved it… Wanna try… But u mentioned grape or apple juice…. So should I use tropicana apple juice or delight? Will it make any difference? Thanks a lot Pratiksha. You can use tropicana. Please correct me if I am wrong, but it is wrongly mentioned to add “vinegar extract” at places where it should be “vanilla extract”. For how long can I keep this cake. As in how many days..
you can keep this for minimum of 5-7 days in fridge. sorry i do not eat eggs. so i would not be able to guide you here.